I’m still behind on my blogging – I owe the internet the second part of the impact series, and a book review I really must get round to writing. But I picked up an interesting nugget of information regarding the ESRC and international co-investigators that’s worthy of sharing and commenting upon. ESRC communications send round an occasional email entitled ‘All the latest from the ESRC’, which is well worth subscribing to, and reading very carefully as often quite big announcements and changes are smuggled out in the small print. In the latest version, for example, the headline news is the Annual Report (2011-12), while the announcement of the ESRC Future Leaders call for 2012 is only the fifth item down a list of funding opportunities. To be fair, it was also announced on Twitter and perhaps elsewhere too, and perhaps the email has a wider audience than people like me. But even so, it’s all a bit low key. I’ve not got much to add to what I said last year about the Future Leaders Scheme other than to note with interest the lack of an outline stage this year, and the decision to ring fence some of the funding for very early career researchers – current doctoral students and those who have just passed their PhD. Perhaps the ESRC are now more confident in institutions’ ability to regulate their own submission behaviour, and I can see this scheme being a real test of this. I know at the University of Nottingham we’re taking all this very seriously indeed, and grant writing is now neither a sprint nor a marathon but more like a steeplechase, and my impression from the ARMA conference is that we’re far from alone in this. Balancing ‘demand management’ with a desire to encourage applications is a topic for another blog post. As is the effect of all these calls with early Autumn deadlines – I’d argue it’s much harder to demand manage over the summer months when applicants, reviewers, and research managers are likely to be away on holiday and/or researching. This is very interesting indeed. My first reaction is to wonder whether all of that greater success can be explained by higher quality, or whether the extra value for money offered has made a difference. Outside of the various international co-operation/bilateral schemes, the ESRC would generally expect only to pay directly incurred research costs for ICo-Is, such as travel, subsistence, transcription, and research assistance. It won’t normally pay for investigator time and will never pay overheads, which represents a substantial saving on naming a UK-based Co-I. While the added value for money argument will generally go in favour of the application, there are circumstances where it might make it technically ineligible. When the ESRC abolished the small grants scheme and introduced the floor of £200k as the minimum to be applied for through the research grants scheme, the figure of £200k was considered to represent the minimum scale/scope/ambition that they were prepared to entertain. But a project with a UK Co-I may sneak in just over £200k and be eligible, yet an identical project with an ICo-I would not be eligible as it would not have salary costs or overheads to bump up the cost. I did raise this with the ESRC a while back when I was supporting an application that would be ineligible under the new rules, but we managed to submit it before the final deadline for Small Grants. The issue did not arise for us then, but I’m sure it will (and probably has) arisen for others. “….only in circumstances where payment of salaries is absolutely required for the research project to be conducted. For example, where the policy of the International Co-Investigator’s home institution requires researchers to obtain funding for their salaries for time spent on externally-funded research projects. This all seems fairly sensible, and would allow the participation of researchers involved in Institutes where they’re expected to bring in their own salary, and those where there isn’t a substantial research time allocation that could be straightforwardly used for the project. [m]any major issues requiring research evidence (eg the global economic crisis, climate change, security etc.) 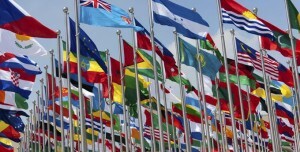 are international in scope, and therefore must be addressed with a global research response. This entry was posted in Application advice, Career Young Researchers, ESRC, Funding, Funding Policy, Research Costs, University culture. Bookmark the permalink.